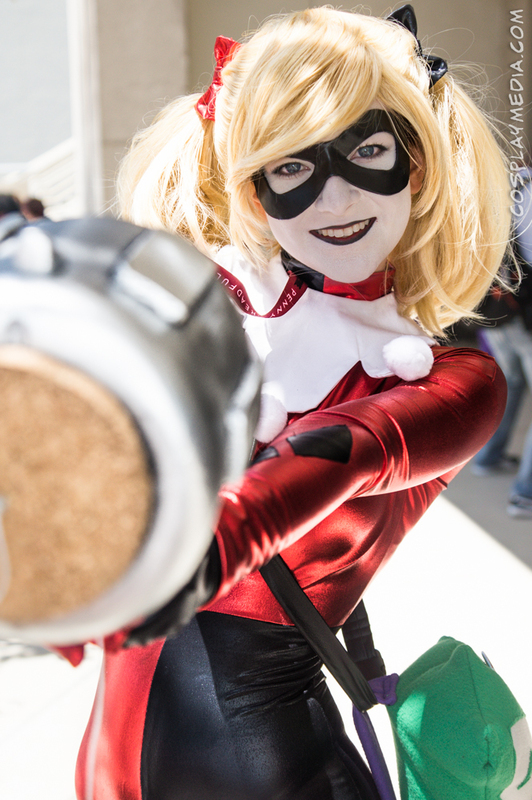 This entry was posted in Photos and tagged #comiccon2014, #harleypalooza, #sdcc2014, 2014, comic con, comicc-on, comiccon, cosplay on September 7, 2014 by CosplayMedia. This entry was posted in Conventions, Photos and tagged #sandiegocomiccon #comiccon2014, #sdcc, 2014, comic con, comic-con, comiccon, cosplay, san diego on August 11, 2014 by CosplayMedia. This entry was posted in Conventions, Photos and tagged #sandiegocomiccon #comiccon2014, #sdcc, 2014, comiccon, cosplay on August 11, 2014 by CosplayMedia. Cosplay Media will be at the 2014 San Diego Comic-Con to take cosplay photos. Need photos of your costume? Send us a message and let us know what day. No group shots, unfortunately. We will do single and duo cosplay, but due to the venue and lack of space, we are not able to set up equipment to properly cover a group. As always, we do not charge for photo shoots. Cosplay Media was founded in 2001 and has been covering conventions, events and of course cosplay since then. This entry was posted in Conventions and tagged 2014, comic-con, comiccon, cosplay, san diego on June 22, 2014 by CosplayMedia.